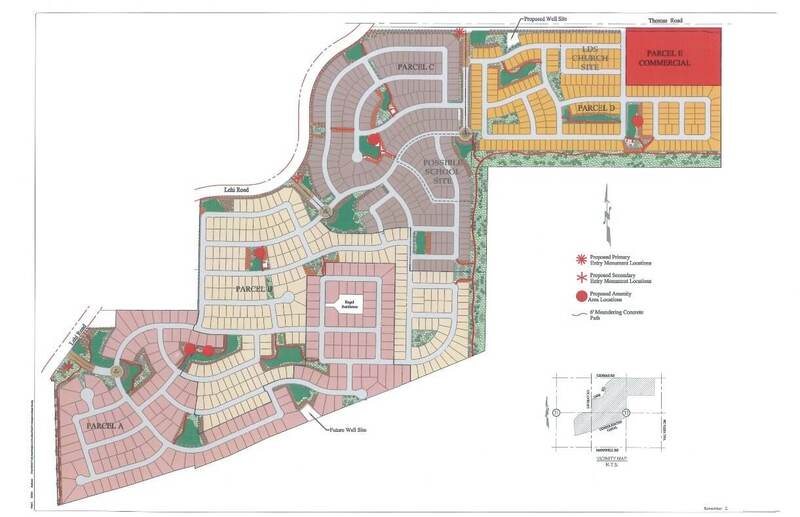 Nestled between the Red Mountain 202 Freeway and two sand and gravel quarries rested a 90 acre citrus orchard that would soon become the Lehi Crossing community developed by William Lyon Homes. Due to the litigation brought on by the sand and gravel operators, Iplan Consulting worked in conjunction with a local land use attorney to ensure the proposal would be successful. Iplan prepared the concept plan and processed the Preliminary Plat in addition to coordinating most of the rezoning work.